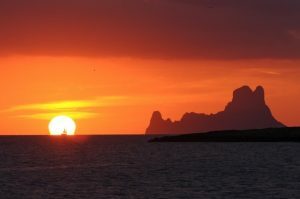 Located in the south of Ibiza, the small Balearic Island is known to be a real treasure of the Mediterranean. 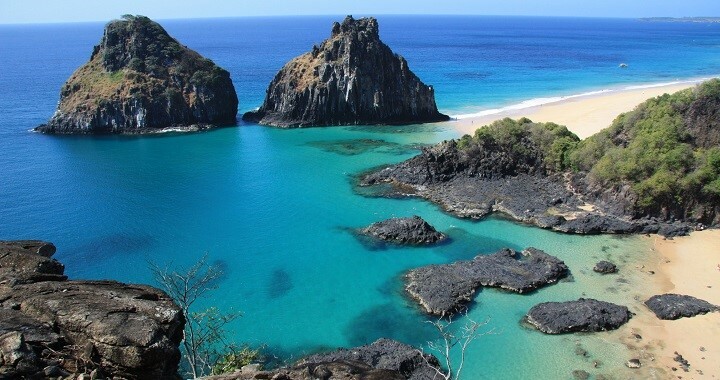 It is said to be just as breath taking as the Caribbean with its glorious beaches and breathtaking scenery. 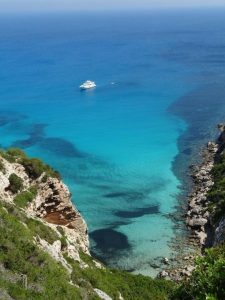 For those of you who dream of those paradisiac creeks and turquoise waters, Formentera really is the place for you. Hire a motorboat beginning from the island of Ibiza and check out Nautal’s favourite sailing route as well as essential stops on the way. Tour around this little paradise and experience not only a sublime panorama of the region, but also a well needed escape from the busy atmosphere and restless nights in Ibiza. After a delicious breakfast in the heart of the citadel of Ibiza, it’s time to head for the port of Ibiza for an unforgettable day at sea. By renting a motorboat you can embark on a full tour of the island of Formentera in one day. Discover all the hidden coves and secrets that it has to offer. First of all, head South, towards a very special jewel of the Balearics. Its passage through Ses Illetes is considered to be and ranked one of the most beautiful beaches in Spain. This particular site also became a famous World Heritage by UNESCO in 2001. This stunning area remained preserved and natural for many decades. Once you have arrived in the North of Formentera, it will be time for a short break (although optional of course). You can pull in at the port of Cala Savina. 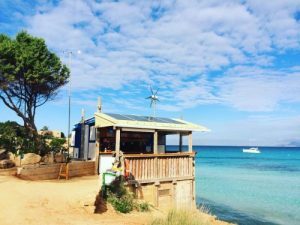 This stop is a small village of Formentera, it is very popular and a great place to explore small local markets which are very well known for their beautiful parèos. Continue your journey South and anchor in Cala Saona, this is a serious MUST, as the area is synonymous with peace and quiet. Between the dunes and pine trees, you will find a “chiringuito” (beach restaurant) in this small secluded cove, allowing you to stop for a bite to eat. This is a typical Spanish delicacy in which is munched on the sandy beach! After this you will see the high cliffs of the Cap de Barbaria overhung by its lighthouse, before reaching the Southern tip of Formentera. Again, a stopover is possible on the beach Migjorn which has kept its wild appearance despite the presence of many tourists in summer. Next, a great idea is to go up North by the West side of the island! You can’t miss the lighthouse of the Mola and cliffs of over 100 meters above sea level. You will notice a dazzling contrast of colors with the blue sea, flashing turquoise as it crashes against the rocks. Another stop over is then in sight as you approach the most isolated and wild creek of Formentera. This island is inaccessible unless you have a boat. The Raco de Sa Pujada will surely give you unique memories that you can’t forget. This beach alone is just fifty meters long, however, so beautiful. An absolute must visit on your journey around the waters of Ibiza! The last leg and stop on this journey can be done in Pujols. There is a fantastic restaurant (Chez Gerdi) where you can kick back, purchase a cocktail and take a breather. If you browse semi-rigid you can easily get close to the pier which is located a hundred meters from the restaurant. Finally, head to your home (Eivissa Port) and pass the beautiful private island S’Espalmador. Here you can watch the sun setting, this is the perfect way to end a perfect day.